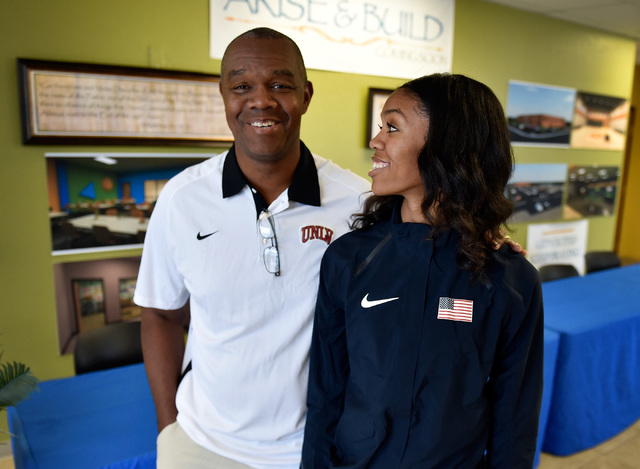 Rising track and field star Vashti Cunningham of Las Vegas said Monday she will turn professional and signed an endorsement deal with Nike. 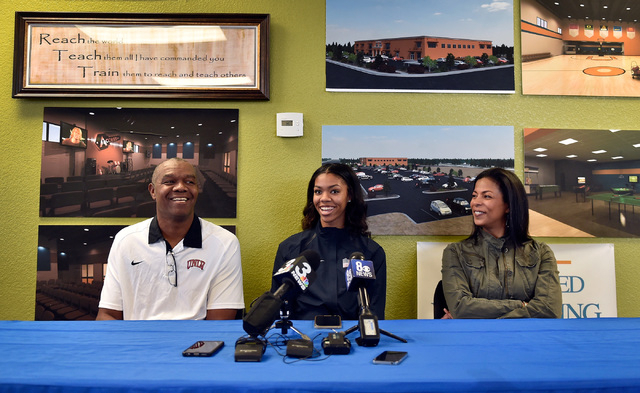 By signing, she is ineligible to compete for Bishop Gorman High School and at the college level. 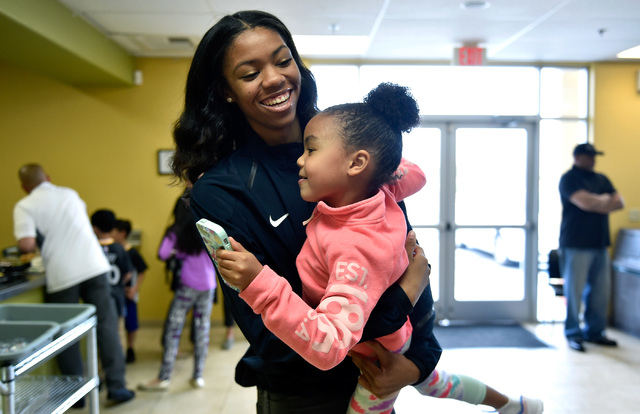 As the endorsement offers piled up over the past several months, Vashti Cunningham largely stayed away from the commercial side of her blossoming high jump career. Dad will handle it, she figured. “I like to let him take the serious part,” Cunningham said. 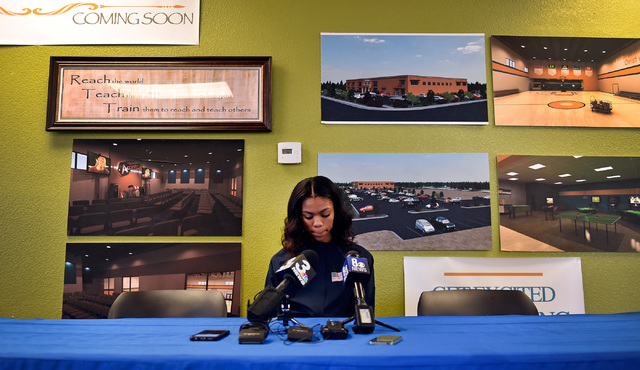 But the daughter of former UNLV and NFL quarterback Randall Cunningham was all business Monday. 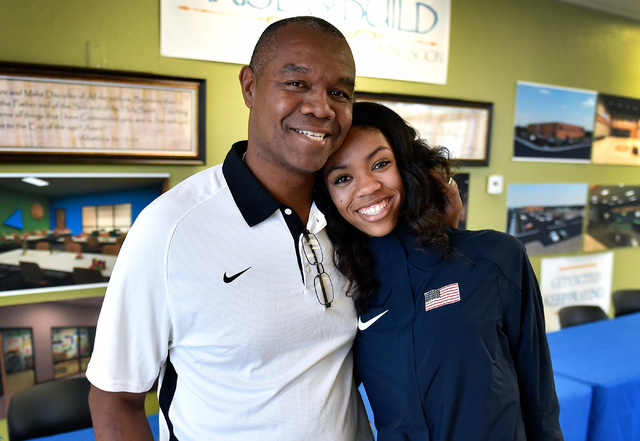 Flanked by her parents at the family’s Remnant Ministries church and reading from a prepared statement, the 18-year-old Bishop Gorman senior announced she has signed an endorsement deal with Nike and is turning professional ahead of this summer’s Olympics. 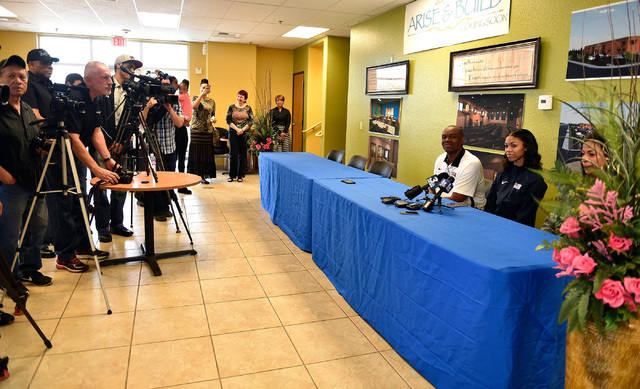 “We might kick her out of the house soon where she can get her own house,” he said jokingly. 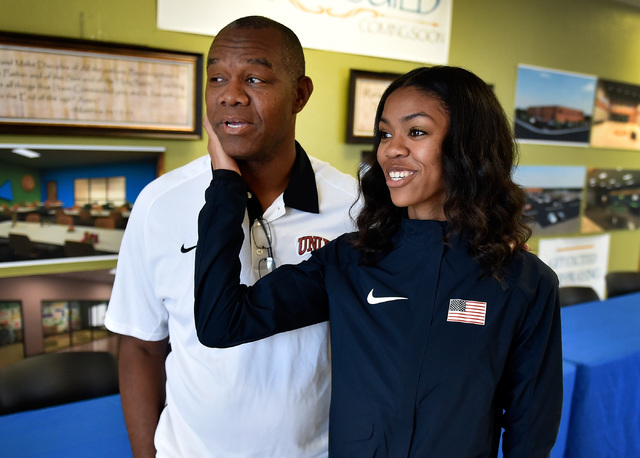 Vashti (pronounced VASH-tie) Cunningham is a leading contender to qualify for the U.S. team that will compete in the Olympics in Rio de Janeiro. The U.S. track and field trials are July 1 to 10 in Eugene, Oregon. 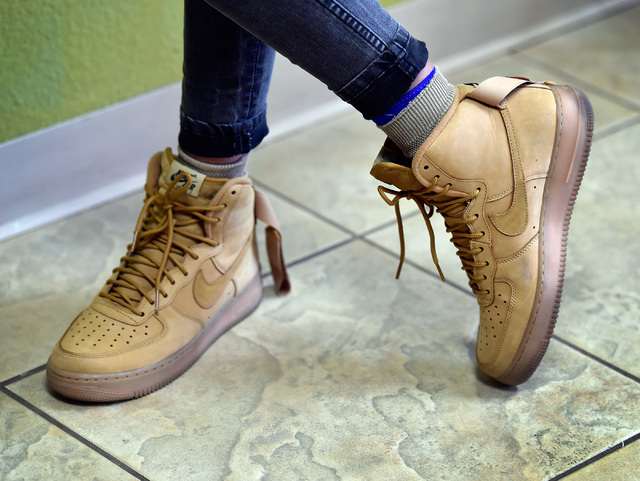 The announcement of her deal with Nike came one day after Cunningham won the gold medal in the women’s high jump at the International Association of Athletics Federations World Indoor Championships in Portland, Oregon. 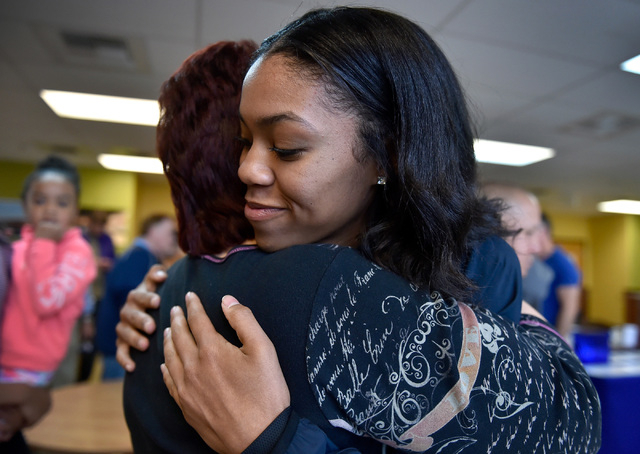 Cunningham said Sunday during the NBC Sports Network broadcast of the meet that she planned to forgo her high school and college eligibility and turn professional. 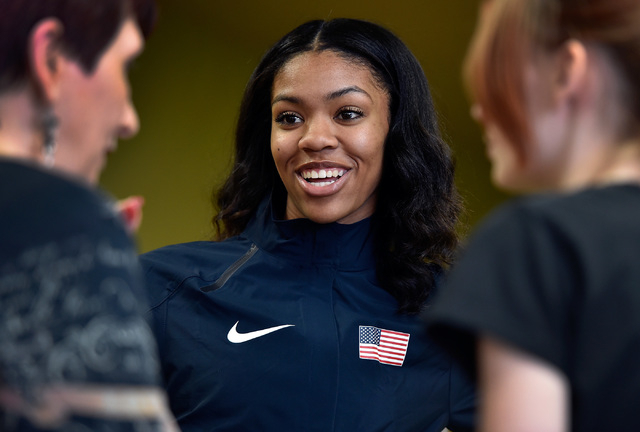 Cunningham was the top-ranked high jumper in the U.S. in 2015 and burst onto the world track and field scene in recent weeks. She cleared 6 feet 5 inches (1.96 meters) Sunday at the Oregon Convention Center to become the youngest woman ever to win an IAAF world indoor title. 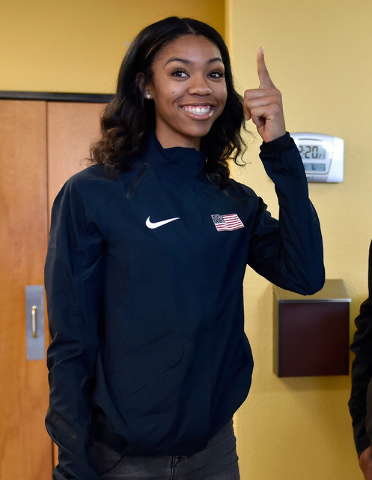 That winning mark was short of Cunningham’s world-leading jump of 6-6¼ (1.99 meters), which she accomplished in winning the USA Track and Field Indoor Championships on March 12. Cunningham stood to make $40,000 in prize money from the IAAF for winning the world indoor title two days ago but, as an amateur, could not collect her earnings. 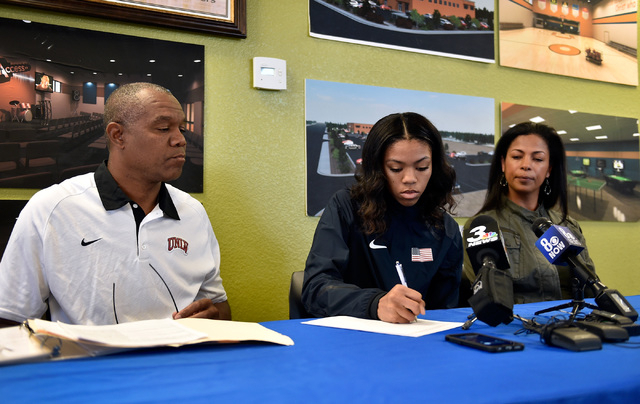 By signing with Nike, Vashti Cunningham now is ineligible to compete for Gorman and at the college level. 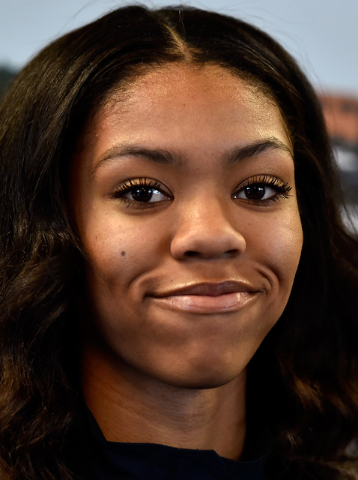 Cunningham is the national high school record holder in the high jump and had narrowed her college choices to Georgia, Oregon and Southern California. Cunningham is expected to return to competition April 14 to 16 at the Mt. SAC Relays in Walnut, California, where she will jump for the first time as a professional. 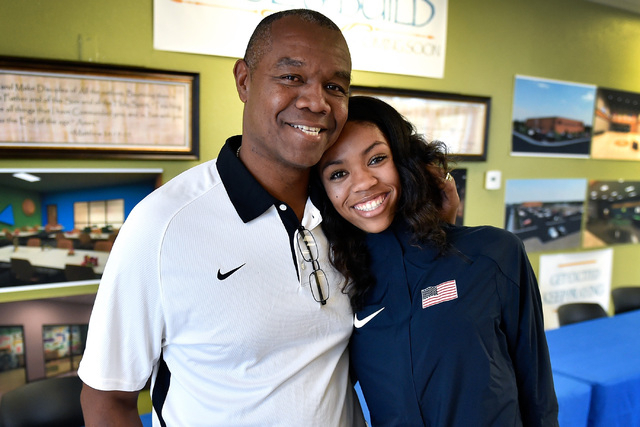 Randall Cunningham said his daughter also could enter the Drake Relays in Des Moines, Iowa, or the Penn Relays in Philadelphia late next month, along with the Prefontaine Classic on May 27 and 28 in Eugene, Oregon, in preparation for the Olympic trials.